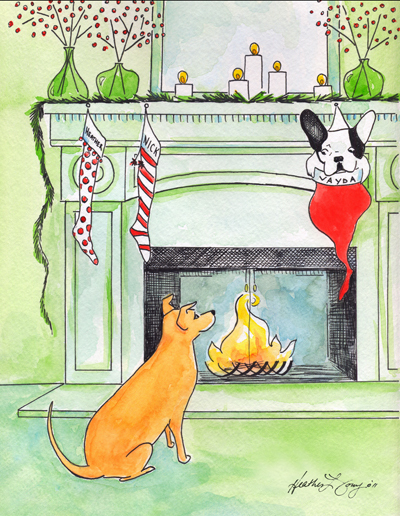 The 2008 Vayda-Dog Christmas card! Back to the drawing board! 17 days and counting! 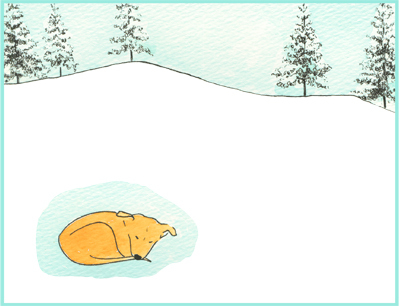 In super-duper exciting news, I picked up the 2008 Vayda Christmas cards from the printer yesterday…I’d give you a sneak peak, but then it wouldn’t be so special for those recipients who also read my blog…I just love the surprise you get when you open a real card…don’t you? While we’re speaking of that mutt, she and I paid a visit to a new vet yesterday…(time for the good old Rabies vac) In true Vayda form, she embarrassed the heck out of me with her overly dramatic antics, (those of you who know her, know how she is)…So as a kind reward for her “strife,” I bought her a new giraffe toy, and then proceeded to take her to all her favorite places. We gallery hopped, we dined al fresco with a view of the river, we visited her pals at the bank and at grandma Cima’s. We even walked the grounds of a possible wedding venue…Just how does she show her appreciation for such a fun filled day? 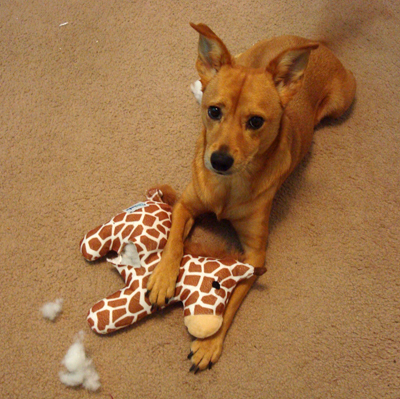 She guts the giraffe. 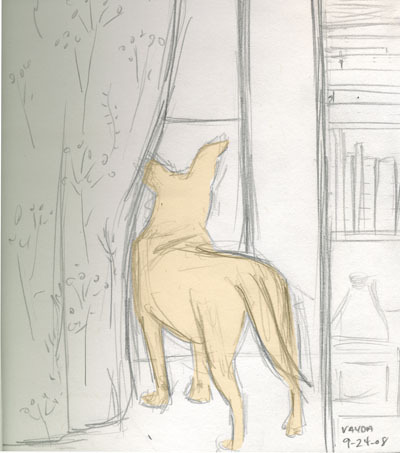 Some dog, I know.